Alexandra Finney(seated) and Sarah Clowes at their Baddeley Green offices. Experienced lawyers Sarah Clowes and Alexandra Finney have joined forces to create a family friendly new solicitors practice in Stoke-on-Trent. 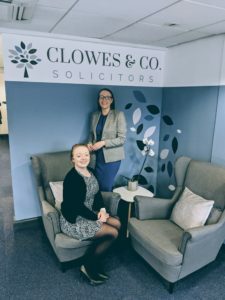 The duo have founded Clowes and Co. Solicitors offering services including conveyancing and property, wills and estate planning, elderly care services and all aspects of family law. With a base in the former Britannia Building Society branch at Baddeley Green, Sarah says the new practice is ideally placed to provide advice to members of the local community and the wider population of Stoke on Trent. “We welcome people who want to drop in with their queries. We believe in making the process of seeing a solicitor as easy and as comfortable as possible. Sarah who grew up in the local area, has 13 years of experience as a solicitor and specialises in wills and estate planning. Alexandra, is a property law specialist and qualified as a solicitor three years ago. 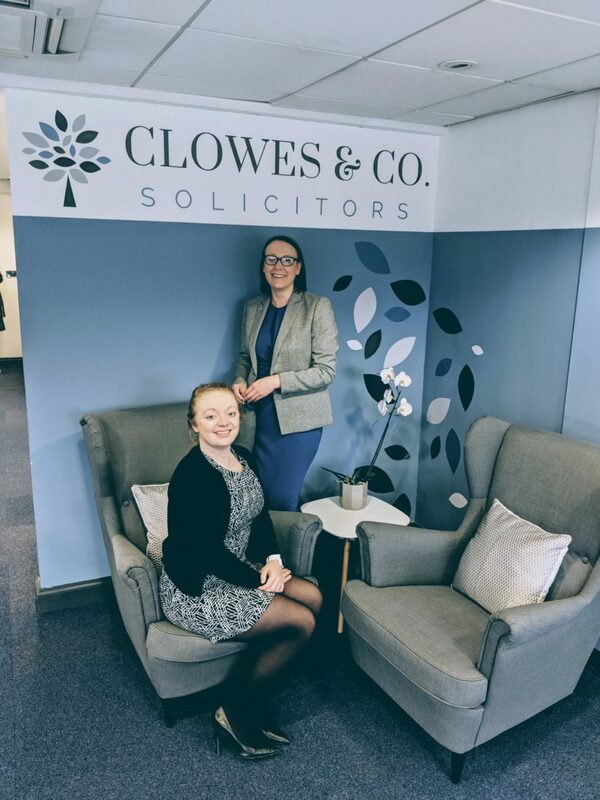 Clowes and Co comprises a team of five, including office manager Kim Hughes, para-legal Toni Brazier and PA Fiona Parkes. Sarah said: “I specialise in inheritance and succession planning, working with clients to ensure they have peace of mind by properly planning their Wills and advising on probate matters, trusts and all family estate planning. Only around a third of people have a Will and this needs to change as, if you don’t leave a Will, the law decides how your estate is passed on and the outcome may not be what you wanted it to be.